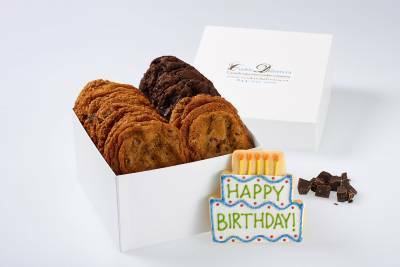 Say "Happy Birthday" with a delivery of gourmet cookies. 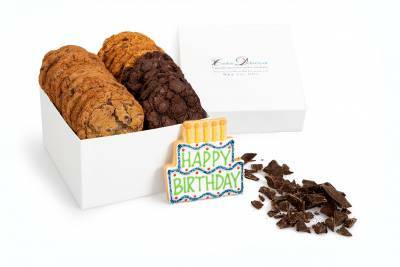 Our birthday gifts are a great way to celebrate a friend or loved one's special day. 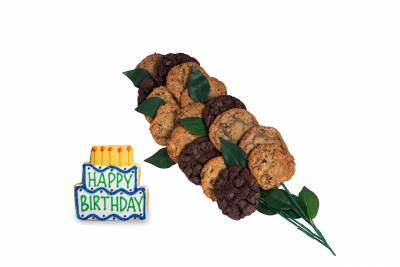 Our Happy Birthday cookie gift is awesome. 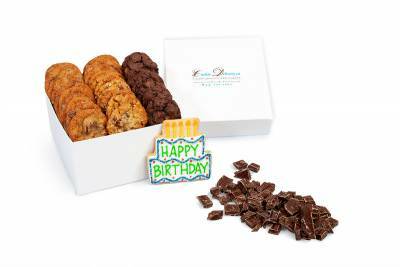 Pick from a giant birthday chocolate chip cookie gram, birthday cookie gift basket, birthday cookie gift box, or birthday cookie bouquet and we will locally deliver your unique birthday gift in Oakville. 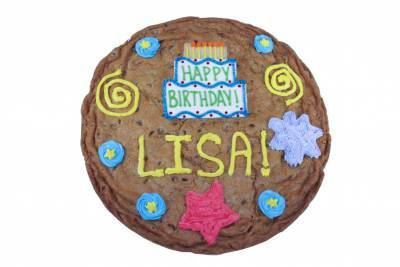 With all our birthday cookie gifts, we include a hand-made sugar cookie that says "Happy Birthday" on it. 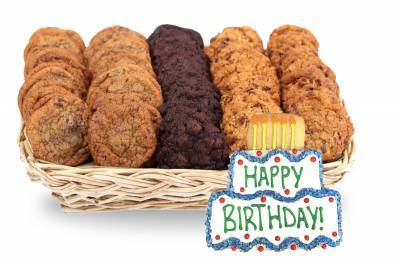 Send a happy birthday cookie delivery in Oakville today. 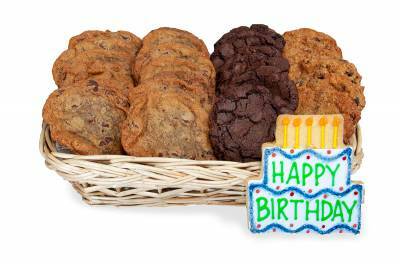 Below are some of the gifts we offer to help celebrate a Birthday. 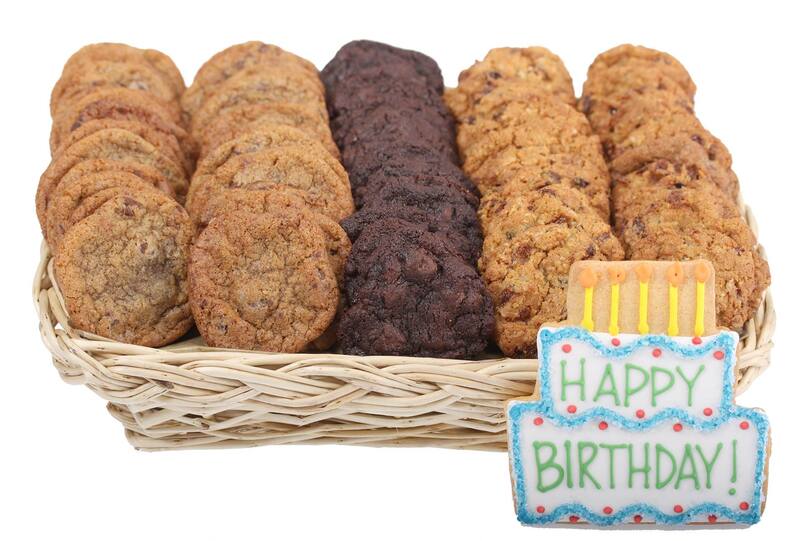 Alternatively, you can Build your own Birthday gift today. 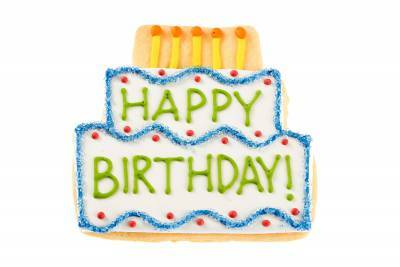 Below are some of the hand crafted Birthday sugar cookies that can be included with your gift. 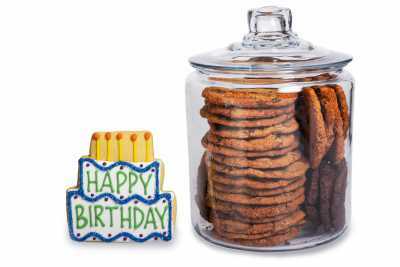 We have a FREE inscription card system to make your gift extra special. 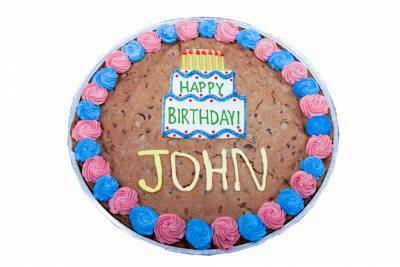 With our gift inscription system, you can include your own photo and thoughtful message with your Birthday gift.